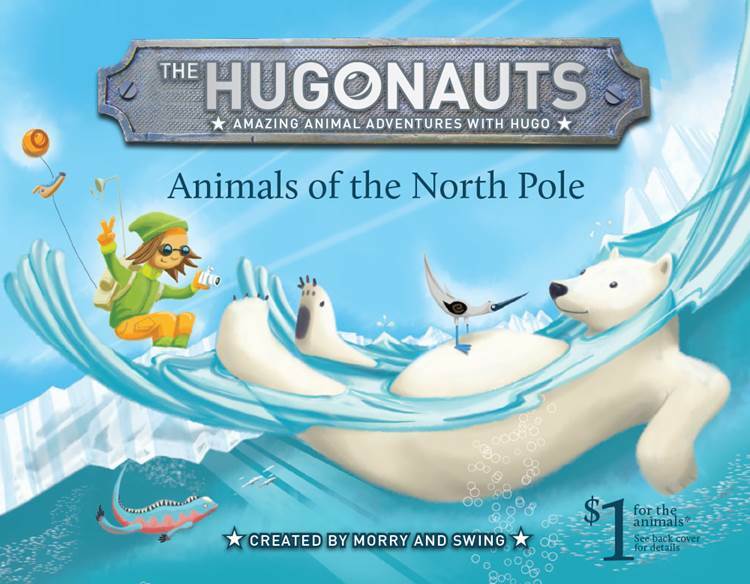 The Hugonauts - Amazing Animal Adventures with Hugo. Hugo and his Hugonauts friends, Iggy the Igwana and Boobie the bird are dedicated to assisting in the awareness of animal cruelty and the protection of the words magnificent animals and their environments. Through their Amazing Animals Adventures, they hope to help educate, create awareness, encourage action and contribute funds to programs around the world that will assist in the conservations of all animals and their natural environments. Come explore the different regions of the world and the animals that live there , learn some fun facts, explore the amazing work their partner charities do, and make your contribution to helping save Hugo’s, Iggy’s and Boobies animals friends for all time. A $1 donation to one of our partner charitieswill be made for every book sold.